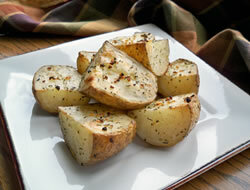 Use McCormick® French Onion Dip Mix to season potatoes before roasting. 1. Preheat oven to 400°F. Toss potatoes and onion with oil in large bowl. Add Seasoning Mix; toss until evenly coated. 2. 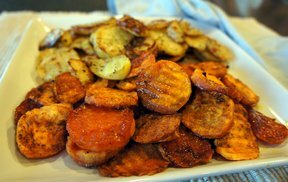 Spread potatoes in single layer on foil-lined 15x10x1-inch baking pan sprayed with no stick cooking spray. 3. 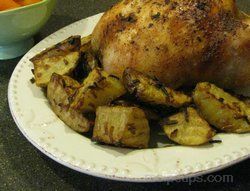 Roast 45 minutes or until potatoes are tender and golden brown, turning potatoes halfway through cook time.